From colors to GIFs to stickers and text fonts and more, you can design your Stories any way you like. Still, there are some best practices that you should follow to get the most out of this exciting feature. 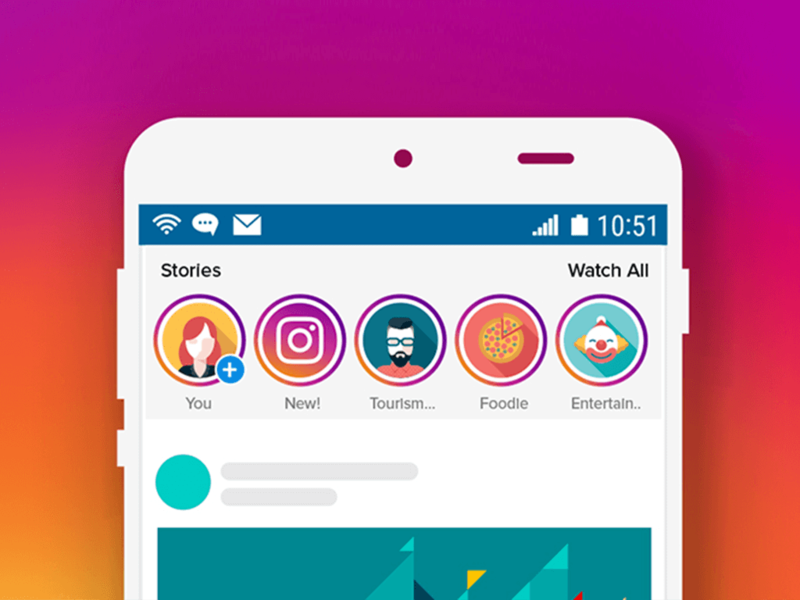 Instagram Stories come with tons of features that enable you to interact with your social following. Engaging with users increases your brand’s social presence, as well as helps you develop your brand personality. Both of these qualities are essential for developing an organic following on social media, which also helps boost your search engine optimization. Instagram polls enable you to ask your followers questions. You can use polls to quiz your followers on facts about your company, the products, and services you provide, or other industry-related questions. You can also use polls to help gauge your follower’s opinions about current events, upcoming releases, and anything else you might think of. Hashtags and geotagging can also increase your engagement with your followers. Including a company hashtag in your Story or another popular tag can increase your viewership. Hashtagging also helps spread important information about your brand. If you’re a local brand, geotagging can help you build your social following. That’s because whenever you enter a geotag, Instagram combines your Story with all of the other Stories that use the same geotag. That way, local users can see all of the Stories for a particular location. This can help increase your local exposure, and interact with local followers. Story takeovers are another way that brands are using Instagram Stories to increase their following and drive sales. Similar to celebrity endorsements, these story takeovers begin with a partnership between your brand and a social media influencer. These influencers are celebrities who have built a fanbase through blogging, Instagram modeling, creating YouTube videos, or gaining fame on another social media platform. There are many types of influencers, from models to actors to comedians and even celebrity animals! Private Instagram users use Instagram Stories to provide updates about their daily life. Businesses should also provide relatable updates to increase their fun factor. The more relatable you are to your customers, the more likely your social following will trust you – and the more credibility you have, the more customers you’ll gain! Instagram Stories allow brands to humanize themselves. This is because, through Stories, companies can share updates in a fun and relatable way that is similar to how non-business users engage on the same platform. If you have an Instagram following of 10,000 or more, you get the special “Swipe Up” feature. Since links can’t be shared in Instagram posts, this feature lets you give your followers quick access to your content. When you add a link to your Instagram Story, an arrow appears at the bottom of the screen telling viewers to “Swipe Up.” When they swipe up, a web browser appears with the loaded link. This feature allows you to gain even more interactions with your company’s content. The possibilities are endless and the results are tangible. You can generate more leads, engage new followers, and market new products and services easily and effectively! These qualities will boost your brand into the 21st century. Search engines and AI assistants are using our companies’ social following for search engine rankings. Simply existing on the web is no longer enough – you have to use social media to your ultimate advantage.